I WANT IN ON THE GAME!! I’m always super excited to play games during PE class. But the thing is, some people HATE when I’m on their team! Like in Basketball, nobody passes the ball to me, even if I’m open. It’s like some of the teammates forget that I’m on their team. Outside of PE, I’m friendly and talk to people. But during PE, they just ignore me. Dude, you’ve gotta help me because I just wanna play! And sometimes, when we’re all in the game and our hearts’ racing and we’re trying to win, we totally lose sight of being decent human beings. At least, some people do. A kid who might listen politely to your idea in a group history project, even if they think it’s dumb, might be the one to hog the ball during PE. I have no way to know exactly what’s going on in your PE class. But, it’s helpful to know that you’re not getting excluded in all things. Just PE. So, at least that provides a little glimmer of hope. It seems like there are a couple possibilities. One–and I’m just being honest because it’s happened to me before–is that maybe you’re not the best player. And that’s okay! You have to start somewhere, and practice makes perfect, right? In an ideal world, it wouldn’t matter how good you were. People would all get a chance to play. Because you need a chance to play if you’re going to improve. Here’s a way to tell if they’re avoiding you because they don’t think you’re good enough: you’re probably also getting targeted by the other team. Like in volleyball, they might try to spike the ball right where you are, or in baseball they might move in close when you’re up to bat. If they think you’re not good enough…well, that’s cruddy. But here are a few things you can do. First, try your hardest not to let them get to you. Or at least don’t let them see if they’ve gotten to you. Keep playing with a good attitude. If you’re actually friendly with some of them outside of game time, maybe you could even ask them for pointers to improve your game. I wouldn’t make it confrontational, like, “Dude, you never pass to me! How come?” More like, “Dude, I’d like to improve in basketball. Could we shoot hoops some time?” Some athletes really respect those who work hard to improve. I do think there’s another possibility for why you’re not getting the ball, and it might have nothing to do with your skills. Maybe you’re a great player. But maybe when you get the ball, you hog it. (I mean, I doubt it, since you wrote in about this, feeling like other people are hogging the ball from you. But it’s possible. So I’m just saying.) If there’s a player on a team with a tendency of hogging the ball, other players might try to keep it away from them. Right? I think that no matter what it is (and it could be something completely different), you should try to stay positive and show you’re willing to work hard and be a team player. And if you do get the ball, get your game on and go for it! But, please remain the good sport that you are. Spread the love. Pass the ball to someone else who doesn’t get it enough. How do you handle it if your teammates exclude you during a game? If you’re a great player, how do you include the beginners? I HATE PE! I get hurt all the time, you don’t want too know! Do you want me to go into an angry rant? Huh? I feel the same way……Alone,Sad,Mad,Uncomforatble it is hard controlling my feelings. 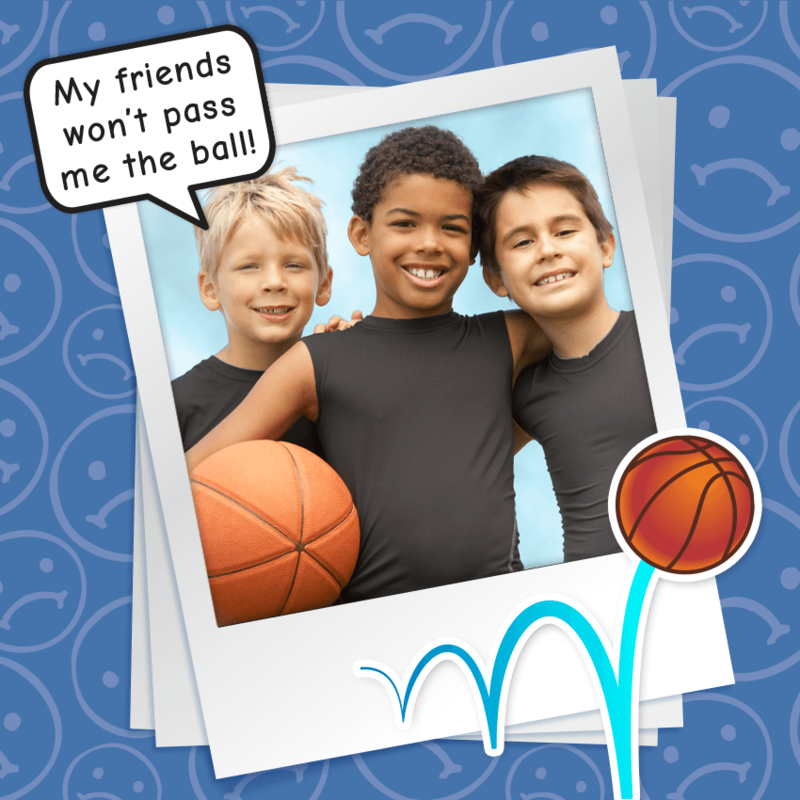 You can try to invite your friends to go outside and play sports to show them that you are good( but don’t show of or that won’t work for you)then maybe they will invite you to play at school and I also faced the same problem, so no worry’s! Sometimes people dont pass the ball to me but sometimes they do. Don’t worry, l’m on a gymnastics team and nobody wants me, they say that I do it badly and that I have no practice. I hope I’ll do better soon. :3 You’re really not the only one. If you don’t get included by some people, you can always find others! There’s always someone there to help. I know! When I play with girls it’s usually okay, but the boys think I’m no good enough just because I’m a girl! And I’m a good player, even better than some of the boys! I know right, i’m a girl and i like playing soccer or other sports, but when i go with my brothers friends nobody wants me in their team cus i’m a girl -_- but once they see me play they stay quiet LOL. Don’t listen to what they think about you just go for it girl and show them what u can do! I’m like absolutely terrible at sports but whenever I’m put on a team every still passes to me. I have no idea why. I’m not popular ether. Brandons’ girl. Niki’s girl. I hate that other people never pass the ball to you when YOU ARE ON THEIR TEAM. I love basketball so I agree with Brandon. also try to tell your teammates, your friends, and some adults about this if it gets too serious. its a game so have fun most of all. dude all you got to do is show them that you are good at sports then they might pass to you senice they know your good. I’m the worst player on the team but I still have fun. No one passes the ball to me though. Not fair. I’m a stereotypical nerd. Get straight A pluses but am terrible at any sports whatsover. Also, I used to think push-ups were super-easy until I learned I was doing it wrong and I couldn’t even do one. OMG, I could totally relate! I am SUPER bad at all kinds of sports. (except soccer) Although, I am the smartest person in my whole class. I’m terrible at sports and kids never throw the ball at me and games that I’m bad at.